• Nivolumab and Ipilimumab Combo Approved for MSI-High Colorectal Cancer. The United States Food and Drug Administration (FDA) expanded the indication of ipilimumab (Yervoy®, Bristol-Myers Squibb) to include use in combination with nivolumab in patients with microsatellite instability high (MSI-H) or mismatch repair deficient (dMMR) metastatic colorectal cancer (mCRC) who have progressed following treatment with fluoropyrimidine, oxaliplatin, and irinotecan. This accelerated approval is based on results from a cohort of 119 previously treated patients with MSI-H or dMMR mCRC in the phase II CheckMate-142 study. In these patients, the combination of four doses of nivolumab (3mg/kg) with ipilimumab (1 mg/kg) every 3 weeks followed by nivolumab maintenance resulted in an overall response rate (ORR) of 49% per independent review, including 5 complete responses and 53 partial responses. Among responding patients, 83% had responses lasting at least 6 months, 19% had responses lasting at least 12 months, and 87.9% of responses were ongoing at data cut-off. Grade 3/4 treatment related adverse events were observed in 32% of patients and were manageable. Of note, there was clinically meaningful improvements in quality of life. • Enzalutamide Gains Approval for Non-Metastatic CRPC. The indication of the androgen receptor inhibitor enzalutamide (Xtandi®, Astellas) was expanded to include use in combination with androgen deprivation therapy (ADT) in patients with non-metastatic castration-resistant prostate cancer (CRPC) on the basis of a 21.9-month improvement in metastasis-free survival (MFS) in the phase III PROSPER trial. For additional information regarding this trial, please see prIME Lines coverage of the PROSPER trial from July 2018. • Expanded Indication for Ribociclib in Breast Cancer. The FDA expanded the indication of the cyclin-dependent kinase 4/6 (CDK 4/6) inhibitor ribociclib (Kisqali®, Novartis) to include use in combination with an aromatase inhibitor (AI) in pre or perimenopausal women with hormone receptor (HR)-positive, human epidermal growth factor receptor 2 (HER2)-negative advanced breast cancer. The addition of pre or perimenopausal patients was based on results from a subgroup of pre or perimenopausal patients (N = 495) enrolled in the MONALEESA-7 study. In these patients, the addition of ribociclib to AI and goserelin resulted in a median 27.5-month progression-free survival (PFS), compared to 13.8 months for patients receiving AI plus goserelin alone (HR = .0569). In addition, the FDA approved the combination of ribociclib and fulvestrant as initial therapy or following progression on endocrine therapy for advanced postmenopausal HR-positive, HER2-negative breast cancer. This approval was based on results from randomized phase III the MONALEESA-3 study in which ribociclib plus fulvestrant demonstrated significant PFS benefit compared to fulvestrant monotherapy (20.5 months vs 12.8 months; HR 0.59). These are the first FDA approvals to be issued under the new Real Time Oncology Review and Assessment Aid programs, which allow the FDA review team to begin analyzing data prior to application submission. Because of these programs, approval for ribociclib in these indications came less than 1 month after formal submission. • First IDH1 Inhibitor Approved for AML. Ivosidenib (Tibsovo®, Agios Pharmaceuticals), a small molecule isocitrate dehydrogenase 1 (IDH1) inhibitor, was approved for treatment of adults with relapsed or refractory IDH1-mutant acute myeloid leukemia (AML) as determined by the newly approved companion diagnostic assay (Abbot RealTime IDH1 Assay). Approval of ivosidenib was based on results from a single-arm phase I study in 179 patients with relapsed/refractory IDH1-positive AML, in which treatment with 500 mg ivosidenib daily resulted in complete remission (CR) in 24% of patients and a CR with partial hematologic improvement (CRh) in 7.8% of patients. The median duration of CR or CRh was 8.2 months and median survival 18.8%. The most common serious adverse events (AEs) included differentiation syndrome (10.6%), grade 3 or higher leukocytosis (7.8%), and QT prolongation (10.1%). The label for ivosidenib will carry a black box warning regarding the risk of differentiation syndrome, which can be fatal if left untreated. • Novel Radiopharmaceutical for Rare Neuroendocrine Tumors. 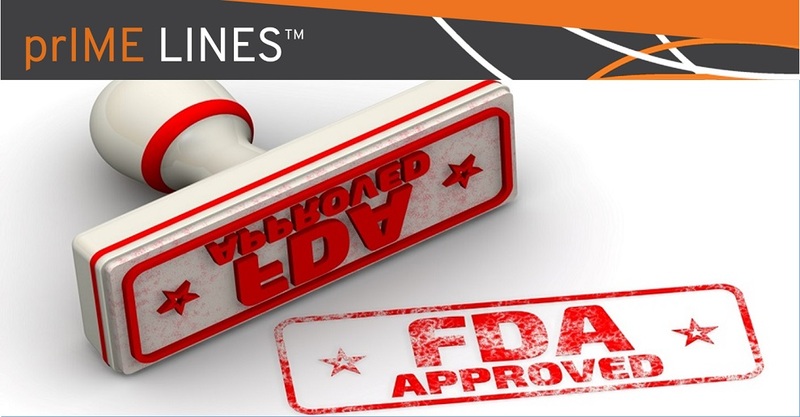 The FDA approved iobenguane I-131 (Azedra®, Progenics Pharmaceuticals) for patients aged 12 years and older with iobenguane scan-positive advanced pheochromocytoma/paraganglioma (PPGL). PPGL is an extremely rare neuroendocrine tumor (NET) that is associated with high rates of hypertension and cardiovascular issues. Approval of iobenguane I-131 was based on a multi-center phase II single-arm trial (N=68), in which 25% of patients with advanced PPGL treated with at least one therapeutic dose of iobenguane I-131 experienced a ≥50% reduction in use of all antihypertensive medication for 6 months or longer. Overall 92.2% of patients achieved a tumor response of confirmed partial response or stable disease. Median survival was 37 months from time of first therapeutic dose and was longer in patients who received two therapeutic doses. The most common treatment-emergent AEs included myelosuppression, nausea/vomiting, fatigue, and dizziness.